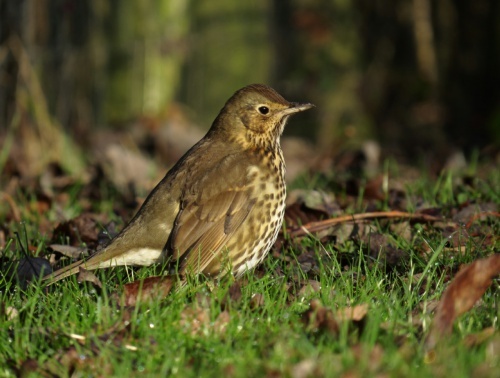 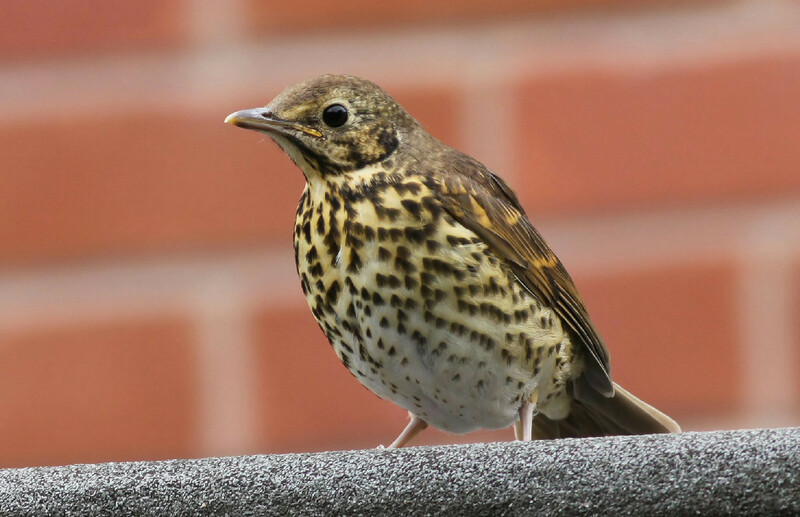 A familiar and popular garden songbird whose numbers are declining seriously, especially on farmland making it a Red List species. 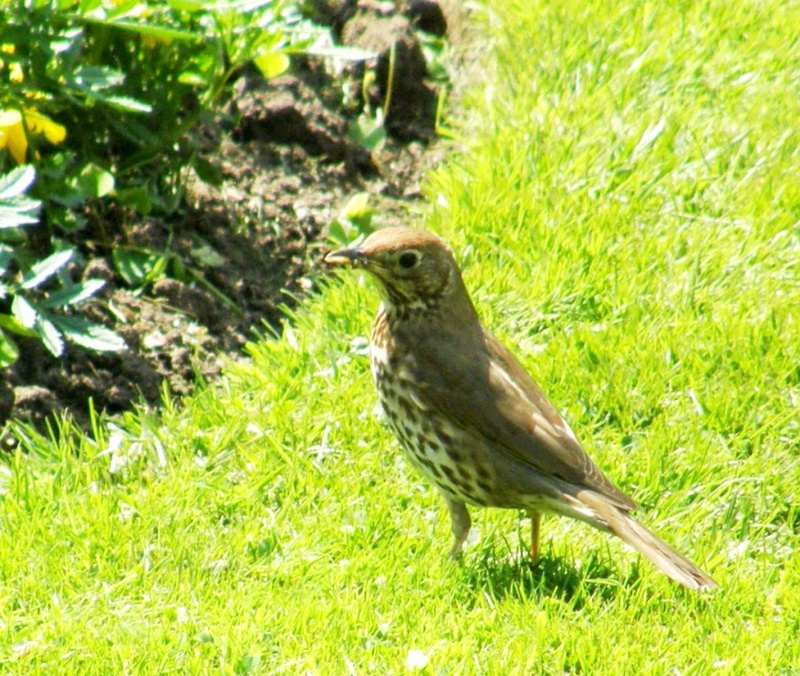 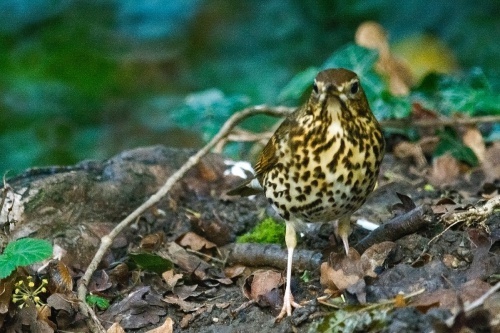 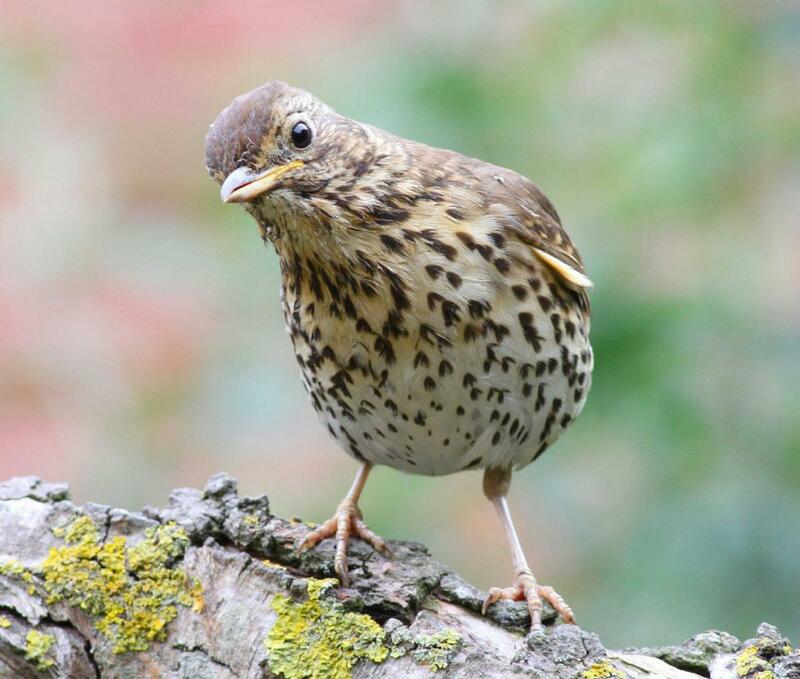 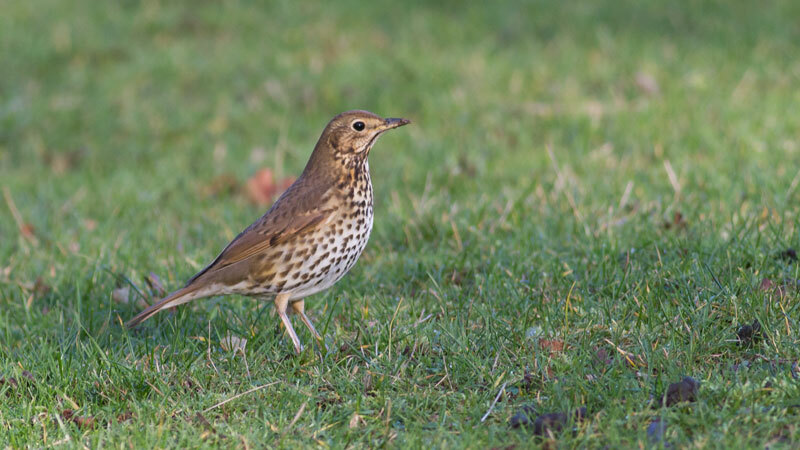 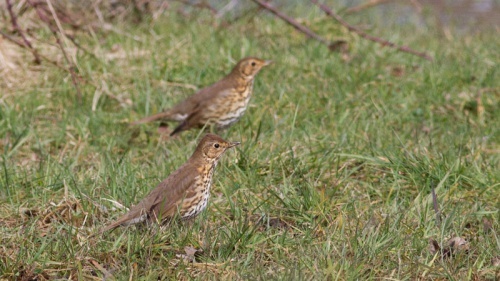 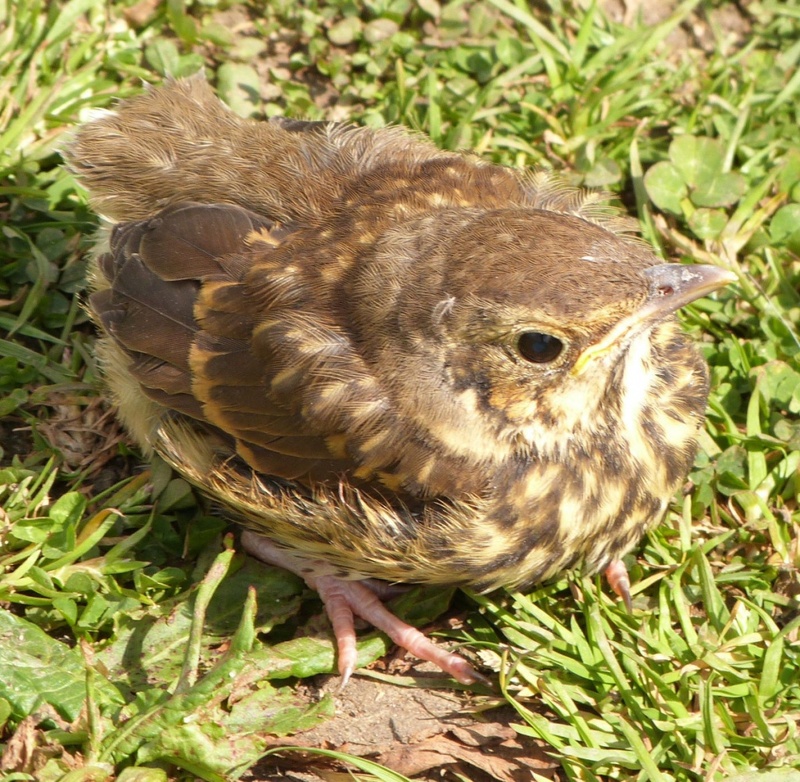 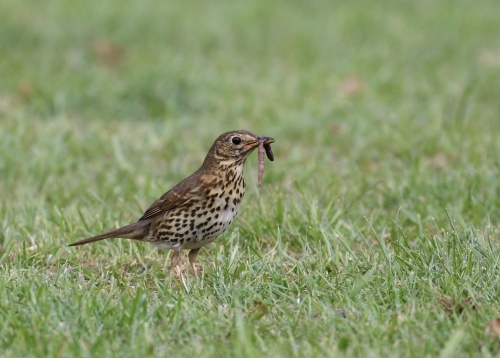 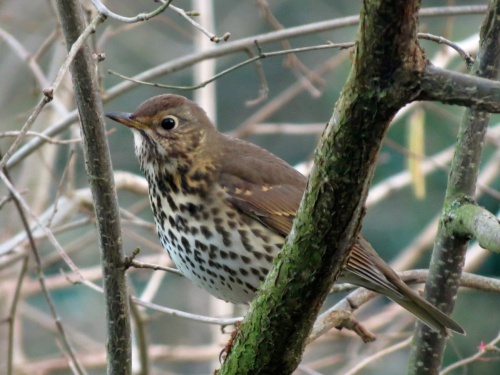 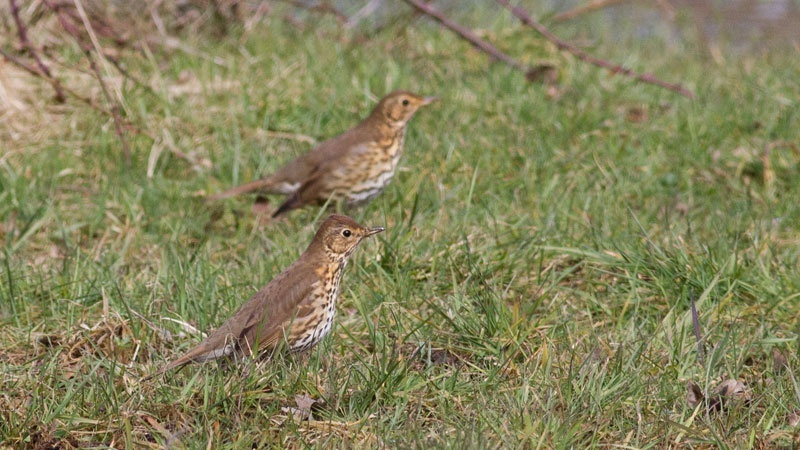 It is smaller and browner than a Mistle Thrush with smaller spotting. Its habit of repeating song phrases distinguishes it from singing Blackbirds. 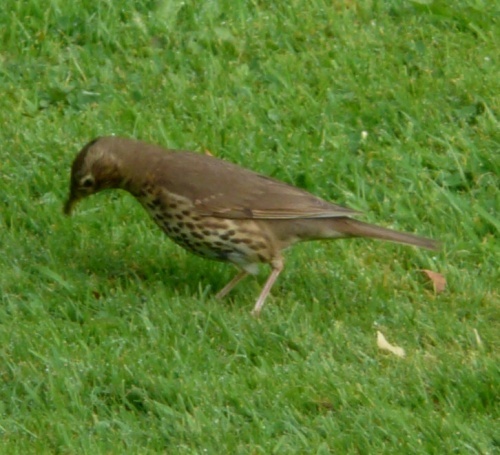 It likes to eat snails, which it breaks into by smashing them against a stone, referred to as its anvil, with a flick of the head.